For some desi tadka making the rounds, rumors are that Indian music, with folk and other classical styles, has taken a beating. Ask why and they say its everything to do with the rapidly growing EDM culture, that’s now spread to our country too. With an astonishing chunk of teenagers and music lovers alike, developing a liking for this “off the track” genre of music, India can now proudly say that’s its almost as big a market for EDM as other countries in Europe and Asia. And with EDM putting India on the global map comes the talks that music authentic to India itself is being pushed aside. But we’ve got enough reasons to put all these rumours to rest. Su Real, a Delhi-based DJ and producers feels that, “Many of us could not even have thought about pursuing a career in electronic music while growing up, that too in India. It gives a clear meaning to the current trend in India, you can have everything here. One doesn’t need to go to other places to catch foreign artists”. Moreover, EDM connects to the Indian audience in a way that’s different from the other regions. Apart from overcoming the language barrier, EDM calls out to a wider experience, thanks to the immense physical experience with the beats, drops and the raw energy associated with it. This coming together of Indian sounds with the EDM outline is truly something spectacular and is giving Indian artists a new identity as well as a whole different arena for experimenting with sounds. Now, not before long, an Indian is going to make it large on the world stage, the next Martin Garrix. This is one notion that is false in every sense. 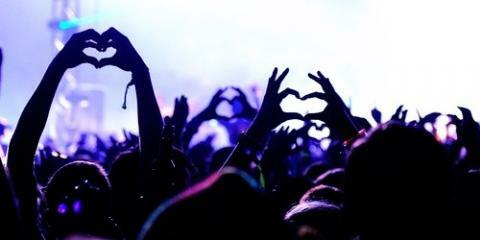 In EDM, each sound, each drop, each beat is diffrent from the rest. And that’s where lies the true essence of this music. To an insensitive ear, all sounds and mixes might sound similar, mainly because of the lack of appreciation or interest in dance music. But when it comes to EDM festivals, producers churn out fresh mixes and music live on stage, while infusing it with some of their signature acts. And this happens only in an EDM festival, thanks to the flexibility and ever-changing base of EDM music as a whole. To add to the fun, fans do get lucky when artists release their records and albums at these festivals in front of such a massive audience. Afrojack, teaming up with David Guetta released his record titled ‘Forget The World’ at the Ultra Music Festival 2014 to a great response from the people. The noisy trip in the van, jokes strewn over each other, getting snapped with your lovelies for a time to remember, and grooving with your crew to those heart-numbing sounds. Yes, it does sound perfect, but its not the best you can do. Music is all about letting loose and finding yourself somewhere in between the tunes. And what better way to do this than with the openess of being alone. Travelling alone to a music festival takes the experience to different levels and you’re bound to enjoy it all the more. You can always find someone out there, who shares your tastes, and is great company to be with. Getting to know new faces, sharing stories, taking in the feels together and bringing back new friends and memories is definitely what makes such festivals a must go-to. You never know who might steal your heart, or just capture your senses for that one second. These moments are meant to be lived. Just like a book cannot be judged by its cover, an individual too cannot be judged by his outfit or looks. The fact that the EDM culture pulls crowds having striking identities and daring looks does not mean that their character or themselves are flawed. Music is a choice for everyone, and so is the decision of showcasing oneself to the outer world. At the end of the day, people want to have a good time and that is the sole basis of music too, to let people enjoy themselves, to find their true self through their passions and interests. So, if you’re having one hell of a time, it doesn’t matter what others see of you, just be yourself and rest assured that EDM will stand by you, no matter what. Does Alcohol consumption have any connection on the DJ? Previous article Five artists to look out for at Vh1 Supersonic 2014! Next article Enchanted Valley Carnival (EVC) 2014 Full Schedule is out!